HOPE! In light of previous sections on judgment, the Lord brings hope, here, by providing insight about the coming Messiah. The chapter describes how Jesus will change everything! Jesus, the “shoot from the stump of Jesse” will have the Spirit of the Lord upon Him and He will judge with righteousness! He will lead people to freedom! This is hope in the midst of a very hard message. Although there is much we can discuss about how Jesus came through the line of David, how He has transformed our hearts, and how He will continue to transform the world; I want to discuss one small point found in this chapter. Usually in Scripture when we see the idea of “fearing the Lord,” it refers to reverence. It is a deep understanding of who God is, being in awe, and therefore following His ways. And in this particular instance, Jesus is said to have had a delight in this reverence. Jesus had different delights, I’m sure. He loved His family, His disciples, and other “normal things.” But what this verse tells us is that His overall delight…His number one treasure…what He found the most joy in…was submitting to the Father and living for His will. Now this is interesting, because Jesus was fully God as well as fully man. But whatever way we slice this, Jesus’ greatest delight was in submitting to the Father’s will and in being in awe of Him. What is your greatest treasure? Do you find delight in obeying God and living for Him? Sometimes this is hard to do. If you find yourself not delighting in the things of God, take heart, we’re all there sometimes! One of the greatest things you can do is pray and ask God to help you find joy in Him. Beg Him to help you desire Him. Ask Him to help everything else pale in comparison to Him. He will answer those prayers. Another thing you can do is spend more time in His Word. As you see more of God and what He has done, you will delight in Him more. As you become obsessed with Him and His will for your life, the more He will become better than gold in your eyes. Let’s strive to follow Jesus’ example by striving for our delight to be in the fear of the Lord. Happy Thanksgiving! There is a lot to be thankful for today. I hope you get plenty of time to dwell on things that are praiseworthy. With the idea of praise and thanksgiving in mind, here are some things I am thankful for from our passage today. Vs. 4 His anger does not turn away. God put His rod of anger and staff of indignation in the hands of evil Assyria as an instrument of judgment against Israel. This seems harsh and this act of judgment is more than I can fully understand, but He used this judgment as a cleansing tool. It reminds me that He loves me too much to let me stay in my sin. He will use unlikely tools to draw me to repentance if He needs to do so. Vs. 11 He removes idols. Think about the idols that interrupted Israel’s fellowship with God. He wanted those removed and desired the pure allegiance of the Israelites. He will remove our idols, even though it might feel hurtful to us, because He desires our allegiance to Him. His lordship is good to us, and He wants nothing to inhibit our fellowship and our allegiance to Him. Vs. 20 A remnant was restored and God kept His promise. We should be extra thankful today that a remnant of Israel was restored because from that lineage came Jesus. God was faithful to His promise of a Redeemer through the people of Israel. Vs. 24 The enemy will not triumph. For all intents and purposes, it looked like the Assyrians were coming out ahead against God’s people. But, they were only instruments in the hand of God, and after they served their purpose, God brought judgment upon them. He did not let the enemy triumph. This reminds me today that, even though it looks like the enemy is winning in so many parts of the world, God is sovereign over all and He wins. The enemy simply will not triumph over God. Those are a few things that I am thankful for from this passage. Since it’s Thanksgiving Day, how about taking a minute to thank God and encourage others by commenting and telling us something you are thankful for from our passage, or just in general. Are you ready for Christmas? Isaiah was! Today’s reading should get you in the mood. Ever since the fall of man into sin (Genesis 3) – prophets looked forward to the time the Messiah would come and redeem mankind. They dreamed, and cried, and longed for it. Things were bad for God’s people – because of their sin – but God had a plan. And so it happened – Jesus came into the world to be the Light that would rescue mankind. 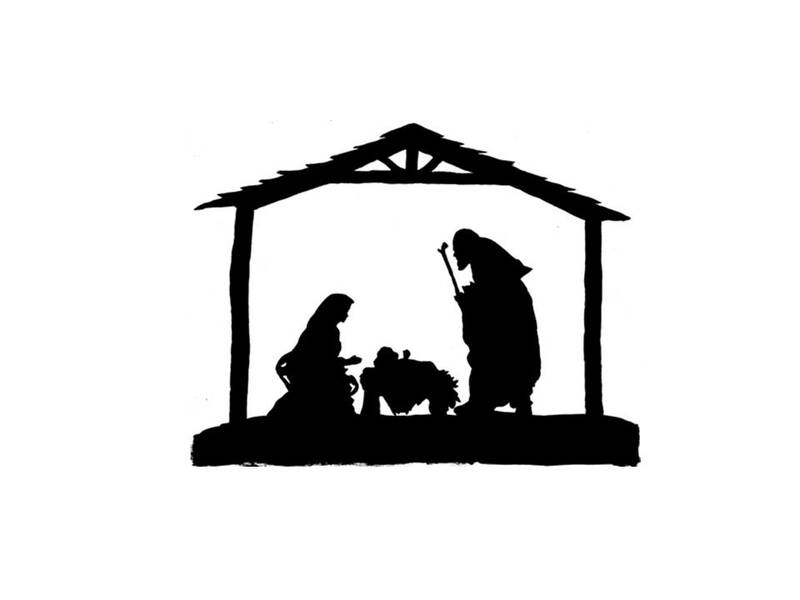 Merry Christmas (a little early) – bask in the miracle that Jesus (the Light) came to earth to redeem us! Most of us are very fortunate to live pretty comfortable lives. Very few of us in this day and age have ever had to face trial the likes of Rosa Parks. In the heart of segregation and racism taking place in the 1950’s in Montgomery, Alabama, Rosa was faced with a choice that would change history. She was asked to move to the back of the bus so a white passenger could have her seat. In that moment the choice to stay seated was not one of rebellion, but of conviction. She knew that if she went to the back of the bus nothing would change but if she stood up for what was right then she could create change. Her belief in a free future is what gave her courage. Today’s passage gives us another example of choice. God was sending the nation of Assyria to destroy the nations that were oppressing Israel which would lead to the ultimate deliverance of His people. Yet, this deliverance was not going to be without pain. War was coming but Isaiah reassures the remnant of God that He will become their sanctuary (v.14). So who was the remnant that He was encouraging? They were those who had true faith in God and preserved God’s word (v.16-22). They were still facing hardship but their belief in God and His promises gave them courage. I am not sure if you or I will ever have to make a history-defining choice like Rosa Parks or if we will face the oppression of another nation on us. However, I do know that all of us are faced with hard choices when the right thing to do is the scary thing to do. The question we will need to answer is “what do we believe to be most important?” Our belief will determine our actions and our actions will reveal our belief.